Very accommodating for our group of 10. Busy, small restaurant. Had party of eight. Sat us in cellar. 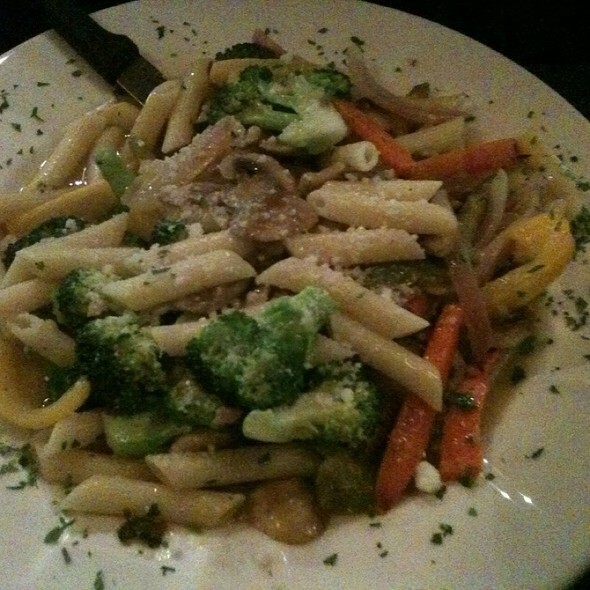 The food was very good and reasonably priced. Not the kind of atmosphere you’d want for a date though. Had a group of 13 and we were seated on the lower floor. Service was excellent-very relaxed, attentive, did not rush us. Food was wonderful! I had homemade pasta with eggplant parm and my husband had clams in red sauce-fantastic! We went for our 11 th anniversary. The place is small with tables a little too close, but the food is definitely something we would go back for. We ordered Martinis that were made perfectly. We had the pumpkin risotto, a meatball side and a Benevento pizza. Everything was great!! 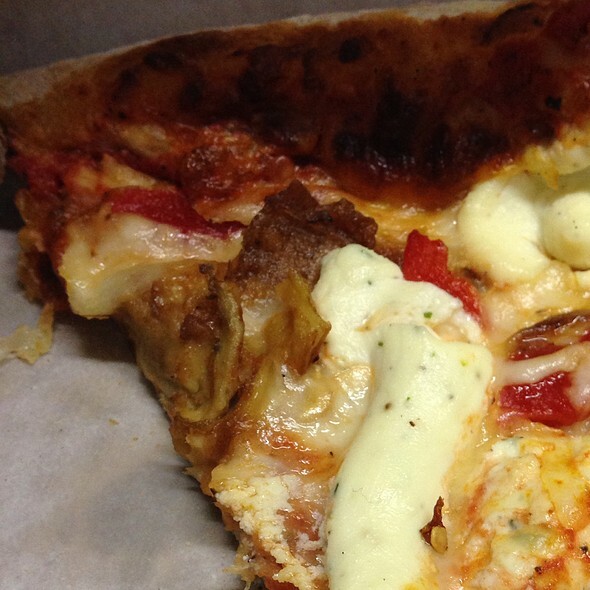 I have never had a better pizza than this. Will definitely go back. The food is good don’t get me wrong but the staff is the worst I’ve seen at any restaurant. When we first entered the place was fairly empty yet it took 10 minutes for someone to come up to us and greet us. When she did come she was rude with a horrible attitude. As soon we were seated the waitress came and asked if we were ready and of course we weren’t we also we new to the restaurant so wanted a few minutes to look over the menu she kept coming back every 2 mins to ask if we were ready once we had already told her to give us time, at this point she was getting very frustrated with us; rolling her eyes and sighing. After we got our meals we had to ask to get our water filled even though our waitress and many other had passed and directly looked at all of our glasses empty. As we continued our meal I noticed them pointing and talking about our table which was completely immature. If it couldn’t get any worse while paying she completely messed up the credit cards after I had written the amount to charge each card with the card color and last four numbers to help here out. All in all just don’t come here, the staff is extremely rude and immature. Excellent food; I have celiac and are here before running the Boston Marathon because the restaurant received very good reviews. I had penne puttanesca and a salad with figs and goat cheese. We also had garlic bread, which wasn’t very good, but my husband had GF gnocchi with a Bolognese sauce and it was excellent. Love this restaurant!!! Never disappoints. The pizza is amazing. Great meal and outstanding service. What more can you ask for? 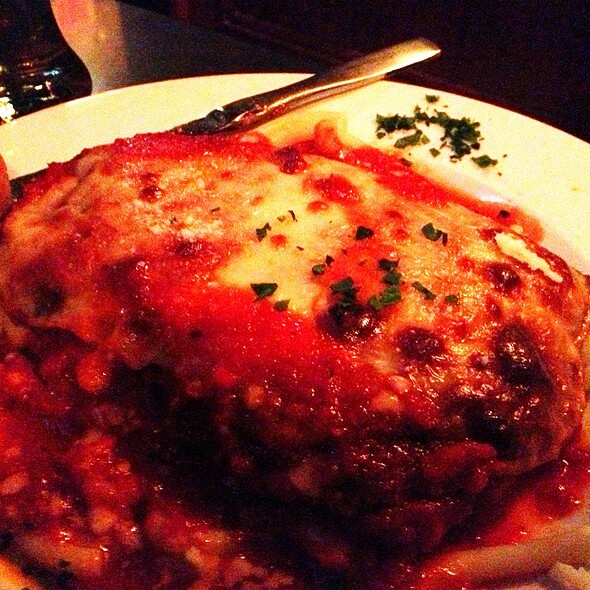 Of the places in the North End that I've been to, Benevento's is by far the best bang for your buck. 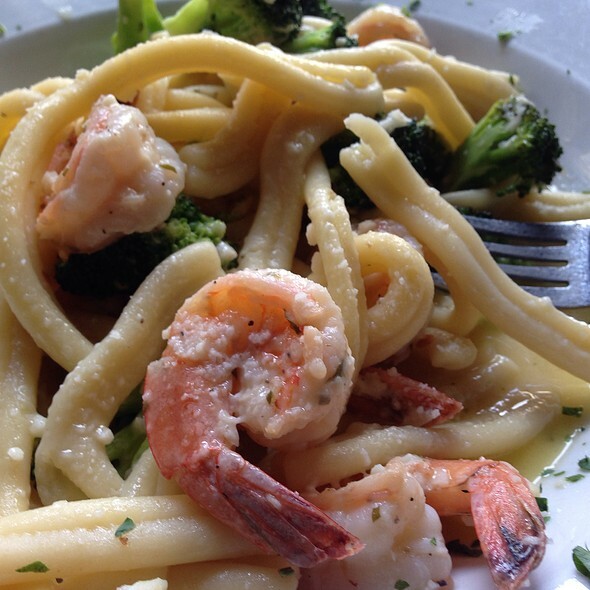 The menu is full of great options from upscale Italian fare to delicious thin crust pizza. Make a reservation though since it definitely fills up on a Saturday night. We were able to get in a with a reservation, very little wait time. Service was reasonably prompt, cheerful, and attentive. Food was very good. Always a consistently good experience here. 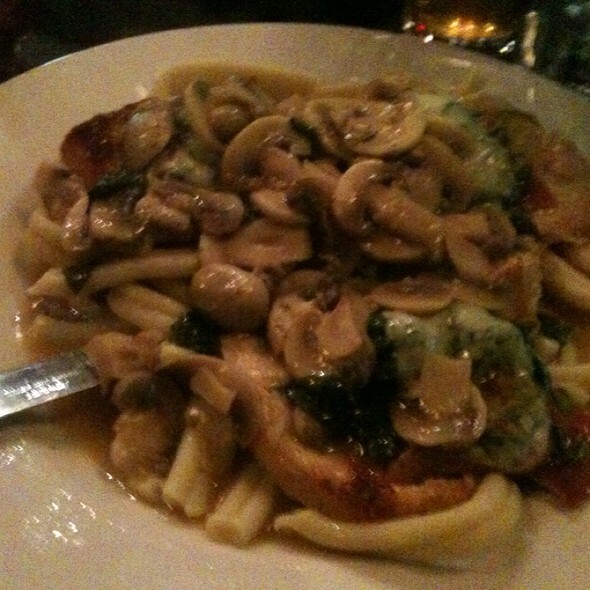 The veal marsala is among the best in the North End. The caprese salad with chicken was excellent with all fresh ingredients and chicken that was not dried out. Attentive service and relaxing environment. The quiet noise level makes this a great place for a business lunch. This is my favorite restaurant in The North End, I have been countless times. Amazing homemade meals, lovely amabiance and incredibly accommodating wait staff. Lovely experience from the moment you walk in to the moment you walk out. Perfect for a special occasion or date night or dinner with the family. I’m a forever customer. One of our favorites in the North End. They never disappoint. Food is outstanding. We visit every time we are in Boston! Our dinner was nothing short of spectacular. The waitress was excellent and the food was absolutely delicious. Love this place! Food was awesome, waitstaff was really friendly and attentive. Two of out party were Celiacs and they really appreciated eating ‘real’ Italian food that actually tasted like Italian food. We will be back’! If they try to seat you in the basement GO SOMEWHERE ELSE. It is cold and damp, there are no windows, and it smells like a dishwasher. They actually do wash the dishes down there so multiple times members of my party were bumped by bus buckets when they were being brought through the narrow area. Food is good but not worth the total lack of ambiance if they put you down there. Very disappointing experience, will not go back. The waitstaff is always fantastic and one of the main reasons we keep coming back! Our meal was delicious and our waitress, Diane was incredibly attentive and nice. Restaurant was busy and bustling. Great experience! Service was great and good always phenomenal. Food was excellent! 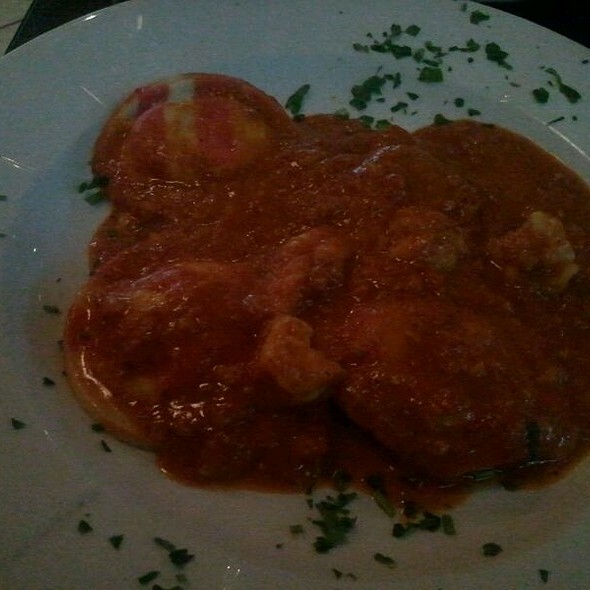 Loved the gluten free gnocci, spectacular bolognese sauce. Hubby enjoyed his fettuccine alfredo. Good value for what you get. Service was not up to par. Server visits to the table were few and far between. Our caesar salad never came...forgot to check if she charged us for it. Never refilled waters at the table, check back on food was when we were 1/2 way done. My boyfriend and I were in Boston for St. Patty’s day weekend. I found Benevento’s and saw that it had good reviews. I made a reservation because I read that it gets very busy. When we arrived it was very busy. I have never seen a restaurant turn over a table so quickly. We were seated within 5 minutes. Our server was helpful and quick. I ordered the gluten free Alfredo pasta. This was the best GF pasta I have ever had. The portion sizes are huge. The restaurant itself is quite small so it does get loud in there but it wasn’t unbearable. I will be talking about the food for a while, can’t wait to go back to Boston! The food was great! There was something on the menu for everyone, delicious. I have celiac. I had read the reviews about how great the gluten free food was and it was all true. We went in on a Saturday before a Bruins game at 4:30. The place was busy but they sat us right away for our reservation. We started with the fig salad. Wonderful. Had the mussel app. Also wonderful. And the gluten free sausage pizza. Very good!!! Loved the sausage. Didn't have any gluten response. Definitely will be returning. Always my favorite place to visit in the North End! Outstanding meal. Waitstaff very willing to accommodate menu substitution. Food delivered quickly and delicious. Can’t go wrong eating here! A varied menu sure to please. Awesome sauces. 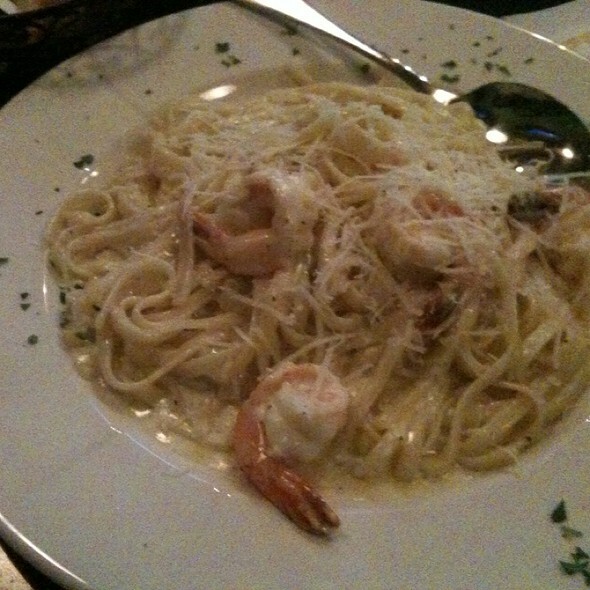 We had 5 very happy diners and 1 underwhelmed with the Alfredo. The service was great and no delays. My wife and I took our daughter out for her 21st birthday. Brought a slice of cake for my daughter and sang happy birthday. That goes a long way. Had a good time, will be back soon. Already have recommended food great service spectacular prices reasonable for area. I had a delicious pizza and salad. 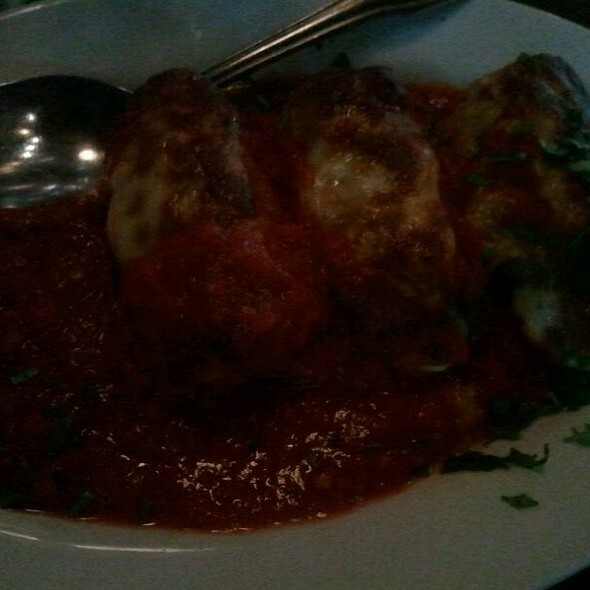 The food was excellent, along with great service. Staff was extremely rude to the couple in front of us and our reservation was lost in translation... ended up eating 50 mins after reservation and was told to wait outside. Food is a great value, perhaps they should increase pricing to lower demand/finance more staff members (also more polite members). The bathroom was disgusting and also only one person could use it at a time which created an awkward wait line by tables and the entry behind the bar. I think there is so much potential if managed correctly, current management is either too hands off or should go back to managing Arby's. In short, the food was good, and everything else was a complete embarrassment. I made reservations for 10 people for my birthday dinner. When we got there and gave my name, they checked their list and said, “10 of you? Holy f#ck! We don’t have a table ready for you and it’s hard to tell when we will.” Considering they emailed AND called to confirm that same day, I’m not sure why they were so shocked. They told us to go wait at a (packed) neighboring bar for a drink and they would let us know when we could be seated. We all stood awkwardly by the (other restaurant’s) bar, clearly in the way of their staff and customers for 30 minutes before they came to get us. We were then seated in a hallway, where we kept getting bumped in the back of the head by waiters carrying plates of food and dirty dishes. Prior to ordering, we asked to split the check in two and specified who would be on each—that didn’t happen. After dinner, one of my friends asked them to box the rest of his food to go. After a good 10 minutes, he reminded them. Our waitress acted surprised that he wanted it (so we assumed it was thrown out) but then she returned with an attitude and basically threw it at him. It was odd. Luckily, our group has a good sense of humor and we all had a good laugh at how awful the service was, but as the person who planned the night out, I was pretty embarrassed. Food wasn’t good. Waiters were dancing and fooling around. Took 30 mins to get my check. There was two people in the whole place on Valentine’s Day and now I know why. 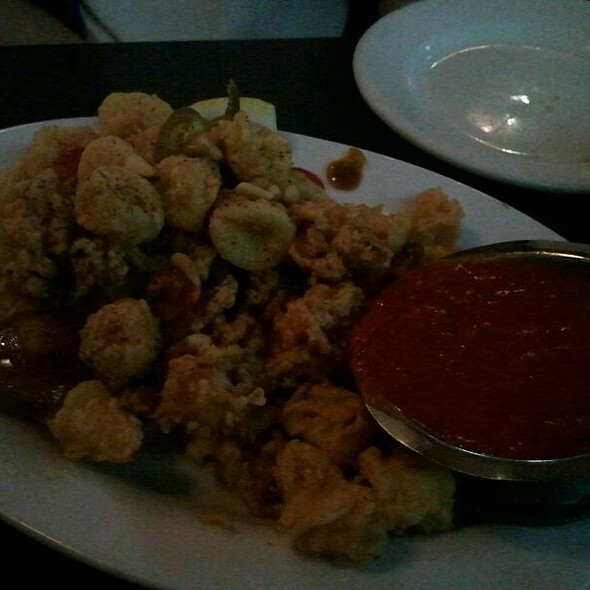 Great food, friendly service, overall good experience! Perfect for a date, special occasion, or just a night out to eat!